Ricky Skaggs lyrics are intended for your personal use only. He really loves country bluegrass and gospel, he's also an excellent instrumentalist. Many of his songs are up tempo and fun to play. He is a tremendous musician playing banjo, guitar, fiddle and mandolin not to mention being a great singer and composer. 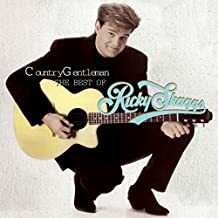 Ricky learned the mandolin very early in life and was playing on stage with Bill Monroe at the age of six and at the age of 7 was playing with Lester Flatt and Earl Scruggs. He has never slowed down and the career he has is something to behold. If you love great bluegrass music he is one of the best and to listen to him pick and sing is a true treat.